Welcome to Edison Elementary School, home of the Otters! We are excited you are now part of the Edison Community. The Edison PTA invites you and your child to participate in some Summer Playdates designed for new students and families to get to know each other. Meeting new friends and seeing a familiar face on the first day of school is always a plus! There will also be an exciting Packet Pick-up Night in August in addition to the other summertime welcome activities. The Packet Pick-up is when your child will find out who their teacher will be for the 2018-2019 school year. To stay on top of event details, PTA updates, and the school calendar, please join Konstella. Konstella is Edison PTA’s primary means of sharing information. You can also find information on the PTA website, and our Facebook page. 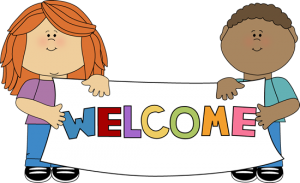 In addition, if you have any questions you can send an email to welcome@edisonpta.org. Please consider joining the PTA. Your yearly membership shows your commitment to the excellence we strive for at Edison, as well as a voting voice in how our funds are spent. One or both parents/guardians, and even grandparents, can join for just $10 each; online at www.edisonpta.org or in person at Packet Pick-up. Your time and contributions support many of the activities at Edison, including science, art and garden docent programs, media and technology, music, field trips, assemblies, and more! You will also have many opportunities to volunteer for our PTA programs and to support Edison throughout the school year, so stay tuned! Happy Summer! We can’t wait to see you at a playdate soon!